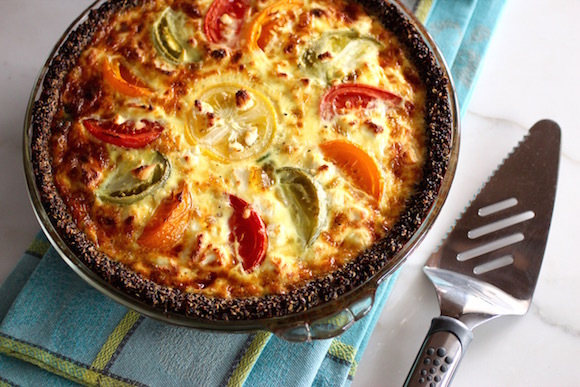 The wild, crunchy supergrain of the Andes makes an interesting crust for this tomato, spinach, and goat cheese quiche. Organic Royal Black Quinoa is grown 13,000 feet up on an arid, desolate salt flat in Bolivia. My gluten-free friends will appreciate quinoa as a replacement for a pastry crust. 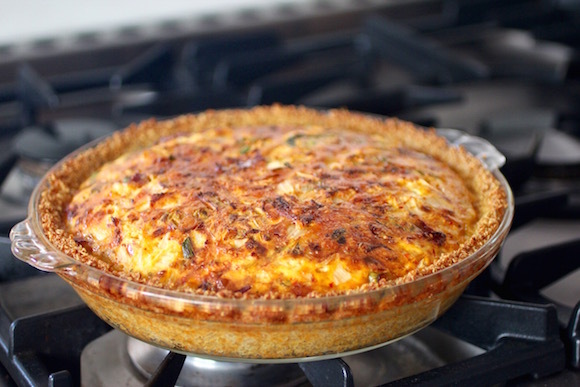 And everyone can appreciate the nutrition, extra protein, and fiber that quinoa adds to the quiche. For me, I like the unexpected striking black color – even if I have to explain that no, no, it’s not burnt. Sauté onion in olive oil until golden. Add garlic and spinach and cook until the spinach wilts and the water evaporates. Season with salt, pepper, and a pinch of nutmeg. Let cool. Beat eggs with milk, season with salt and pepper. 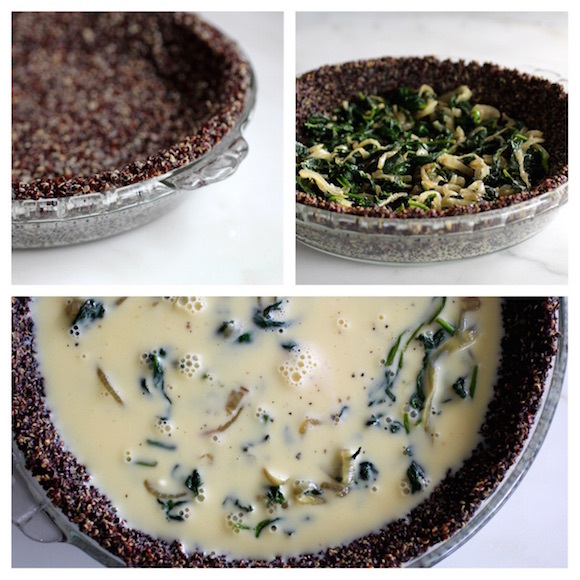 Spread out the spinach mixture in the quinoa crust. Pour the egg mixture over the spinach. Arrange tomato wedges in the egg mixture. 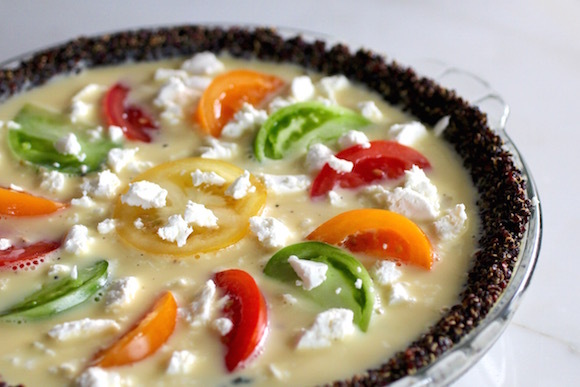 Place crumbled goat cheese between and atop of the tomatoes. 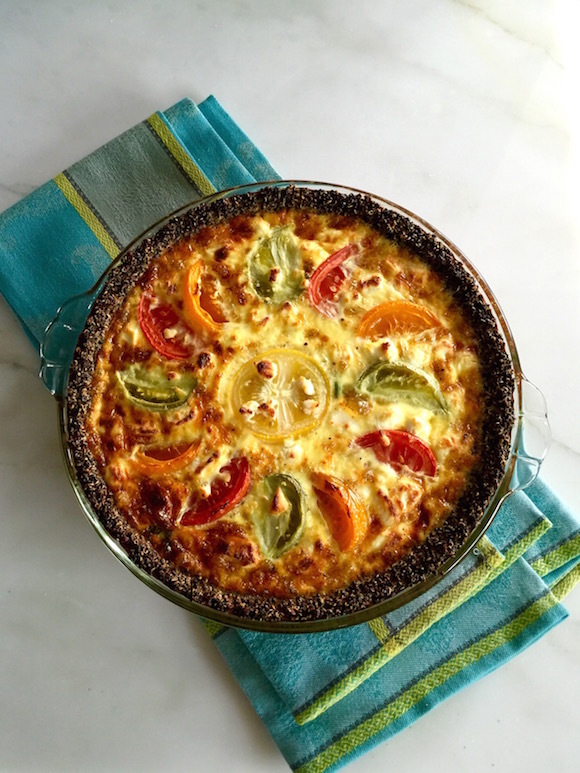 You might enjoy taking a peek at other tomato-centric recipes from some fabulous bloggers below …Summer Soiree is a season long franchise where Food Network editors team up with bloggers to share recipes about everyone’s favorite summer dishes. Be sure to check out our Pinterest Board with over 300,000 followers called Let’s Pull Up A Chair! Pingback: Warm Tomato and Mozzarella Bruschetta | Creative Culinary | A Denver Colorado Food and Cocktail Blog with Recipes. A big tick to todays’ new idea learnt 🙂 ! 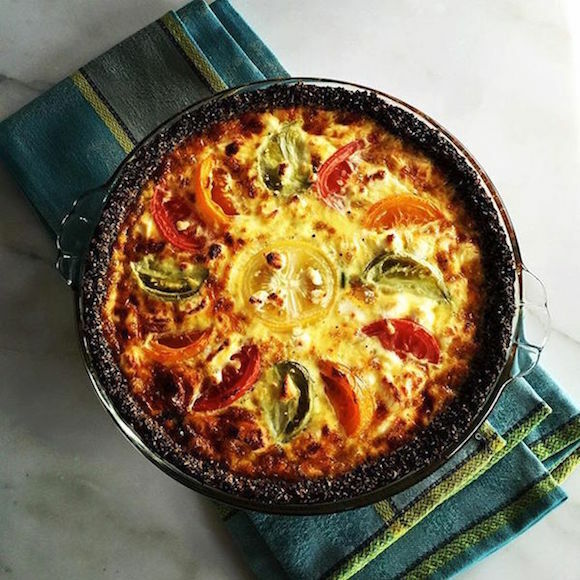 It may have to be a ‘boring’ ordinary quinoa crust as I have not see the black one here in the country but then have never used the grain as a base. 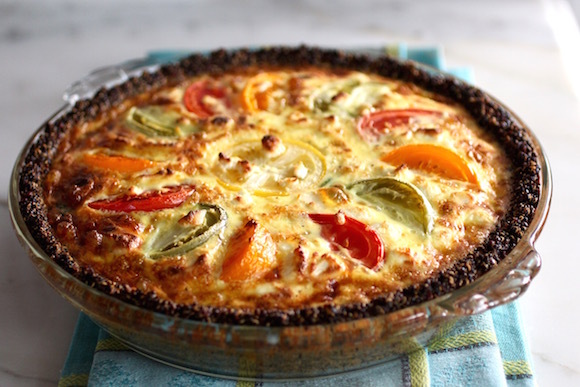 Interesting recipe in layers – no problems with your clear explanations! Love the final appetizing looks . . . 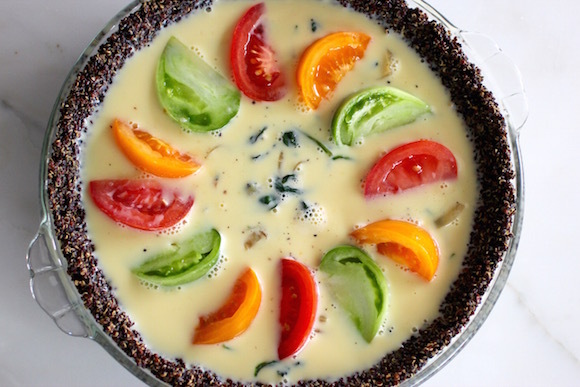 Positively gorgeous – and a clever idea to use quinoa for the crust.